Certainly there was only one power area between the two mattresses at the rear of the bale. I only used one socket, but there might have been two. I used a plug with 2 USB ports, so didn't need more to keep everything charged overnight or during the day while diving. 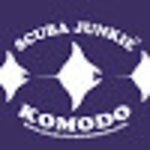 Recibe una respuesta del personal y antiguos clientes de Scuba Junkie Komodo Beach Resort.